The phytochromes are a family of chromoproteins with a linear tetrapyrrole chromophore, similar to the ringed tetrapyrrole light-absorbing head group of chlorophyll. Phytochromes have two photo-interconvertible forms: Pr and Pfr. Pr absorbs red light (~667 nm) and is immediately converted to Pfr. Pfr absorbs far-red light (~730 nm) and is quickly converted back to Pr. Absorption of red or far-red light causes a massive change to the shape of the chromophore, altering the conformation and activity of the phytochrome protein to which it is bound. Pfr is the physiologically active form of the protein; therefore, exposure to red light yields physiological activity. 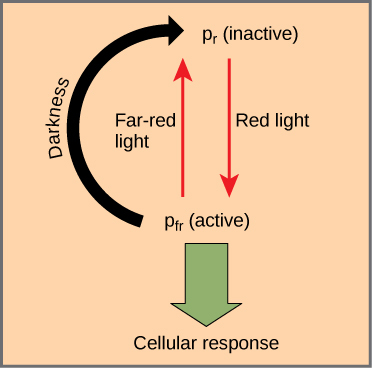 Exposure to far-red light inhibits phytochrome activity. Together, the two forms represent the phytochrome system (Figure 1). Figure 1. Figure 1. The biologically inactive form of phytochrome (Pr) is converted to the biologically active form Pfr under illumination with red light. Far-red light and darkness convert the molecule back to the inactive form. The word “horticulturist” comes from the Latin words for garden (hortus) and culture (cultura). This career has been revolutionized by progress made in the understanding of plant responses to environmental stimuli. Growers of crops, fruit, vegetables, and flowers were previously constrained by having to time their sowing and harvesting according to the season. Now, horticulturists can manipulate plants to increase leaf, flower, or fruit production by understanding how environmental factors affect plant growth and development. Phototropism—the directional bending of a plant toward or away from a light source—is a response to blue wavelengths of light. Positive phototropism is growth towards a light source (Figure 2), while negative phototropism (also called skototropism) is growth away from light. Cryptochromes are another class of blue-light absorbing photoreceptors that also contain a flavin-based chromophore. 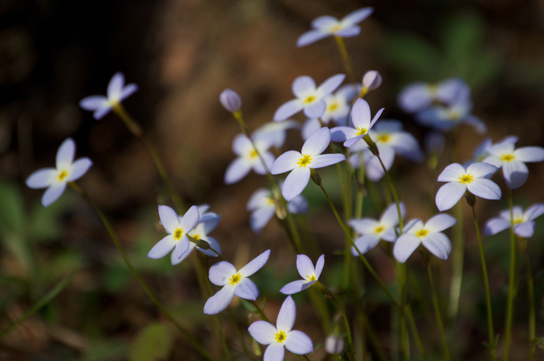 Cryptochromes set the plants 24-hour activity cycle, also know as its circadian rhythem, using blue light cues. There is some evidence that cryptochromes work together with phototropins to mediate the phototropic response. GAs break dormancy (a state of inhibited growth and development) in the seeds of plants that require exposure to cold or light to germinate. Abscisic acid is a strong antagonist of GA action. Other effects of GAs include gender expression, seedless fruit development, and the delay of senescence in leaves and fruit. 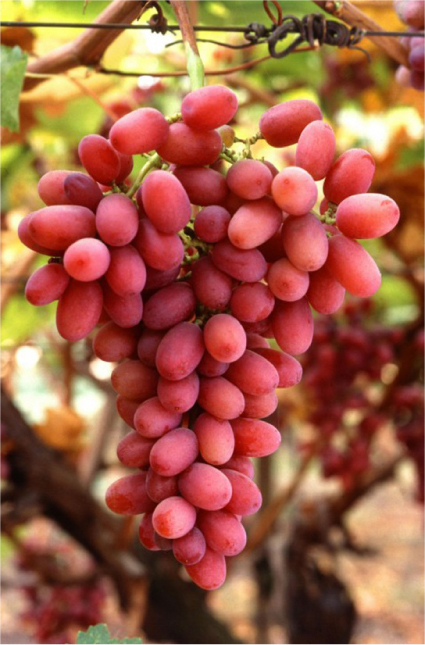 Seedless grapes are obtained through standard breeding methods and contain inconspicuous seeds that fail to develop. Because GAs are produced by the seeds, and because fruit development and stem elongation are under GA control, these varieties of grapes would normally produce small fruit in compact clusters. Maturing grapes are routinely treated with GA to promote larger fruit size, as well as looser bunches (longer stems), which reduces the instance of mildew infection (Figure 3). The movement of a plant subjected to constant directional pressure is called thigmotropism, from the Greek words thigma meaning “touch,” and tropism implying “direction.” Tendrils are one example of this. The meristematic region of tendrils is very touch sensitive; light touch will evoke a quick coiling response. Cells in contact with a support surface contract, whereas cells on the opposite side of the support expand. Application of jasmonic acid is sufficient to trigger tendril coiling without a mechanical stimulus. A thigmonastic response is a touch response independent of the direction of stimulus . In the Venus flytrap, two modified leaves are joined at a hinge and lined with thin fork-like tines along the outer edges. Tiny hairs are located inside the trap. When an insect brushes against these trigger hairs, touching two or more of them in succession, the leaves close quickly, trapping the prey. Glands on the leaf surface secrete enzymes that slowly digest the insect. The released nutrients are absorbed by the leaves, which reopen for the next meal. Secondary metabolites are compounds that are not directly derived from photosynthesis and are not necessary for respiration or plant growth and development. Many metabolites are toxic, and can even be lethal to animals that ingest them. Some metabolites are alkaloids, which discourage predators with noxious odors (such as the volatile oils of mint and sage) or repellent tastes (like the bitterness of quinine). Other alkaloids affect herbivores by causing either excessive stimulation (caffeine is one example) or the lethargy associated with opioids. Some compounds become toxic after ingestion; for instance, glycol cyanide in the cassava root releases cyanide only upon ingestion by the herbivore.